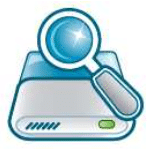 VX Search is an automated, rule-based file search solution. It can search files by the file type, category, extension, file name, regular expressions, location, size, creation and modification. Also it can search by last access dates, user, file attributes, JPEG EXIF tags. 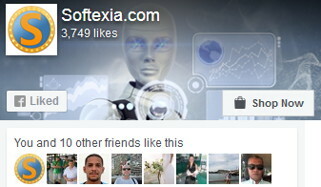 Users are provided with the ability to categorize and filter file search results, copy, move or delete search results. Furthermore, they can generate various types of pie and bars charts. Also can save reports to standard formats such as HTML, text, Excel CSV and XML. 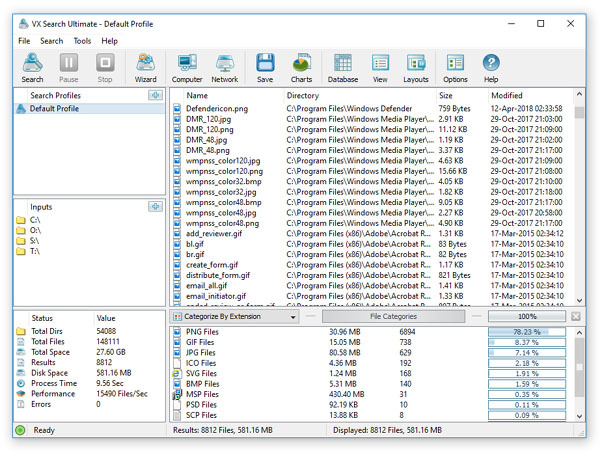 Frequently used file search operations may be pre-configured, saved as user-defined search profiles. And may be performed fully automatically using the VX Search GUI application. Or direct desktop shortcuts allowing one to execute search commands in a single mouse click. Power computer users and IT administrators are provided with advanced search capabilities. Such as the ability to search files in multiple servers and/or NAS storage devices simultaneously, automatic report generation, SQL database integration. Also conditional notifications which allow one to send E-Mail notifications when a search operation finds a user-specified number of files. Finally, VX Search Ultimate provides a command line utility capable of executing user-defined search commands periodically. It uses the Windows built-in task scheduler and enabes periodic generation of search reports and automatic E-Mail notifications.